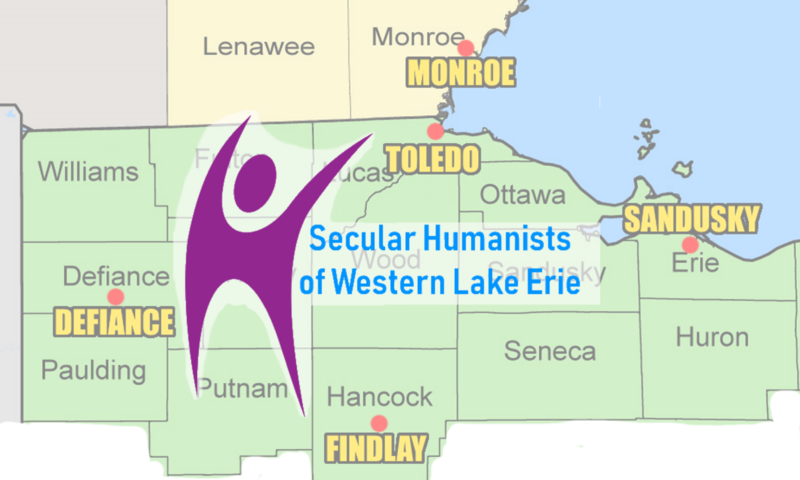 Doug Berger is a co-founder of the Secular Humanists of Western Lake Erie and is a co-chair for Secular Coalition for Ohio. Doug first got active in the secular humanist movement as a member of the Humanist Community of Central Ohio where he served as newsletter editor from 1996 to 2007, President in 2001 and 2002 and many other smaller roles over the past 20 years. HCCO named Doug their Humanist of the Year in 2013. Shawn Meagley is a co-founder of Secular Humanists of Western Lake Erie and champion explorer of rabbit-holes. She found her way to Secular Humanism via typical childhood indoctrination with an encouragement to learn about the world. A mom of two adult children who share her secular perspective, Shawn has a passion for advocacy of those unable to advocate for themselves; a champion for the underdog. Like many, the current climate of political and social tension has created a sense of urgency to be more aware and involved. Most recently Shawn has participated in direct action events in support of women’s reproductive health issues, Center for Inquiry’s Secular Summit (2017) and attended the Freedom From Religion Foundation National Convention (2017). Doug and Shawn are available to speak to the media about the group or to give a secular viewpoint on issues of the day. If you are needing a speaker for your meeting or event, Doug is availble to talk about the group, Humanism, and give a secular viewpoint on the issues of the day.